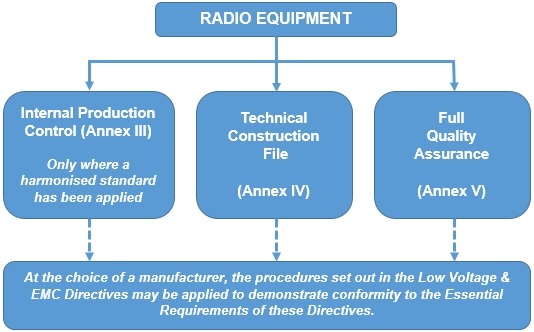 The R&TTE Directive is being replaced by a new Directive covering ‘Radio Equipment’. The new Radio Equipment Directive (2014/53/EU) comes into force on the 13th June 2016. You can find out more about the new Directive here. Electronic equipment generates an electromagnetic field and these radio waves can be utilised for wireless communication. 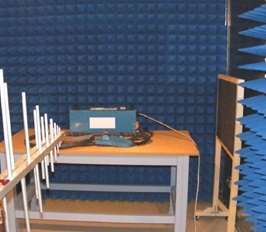 Such radio equipment is covered by the R&TTE (Radio Equipment and Telecommunications Terminal Equipment and the Mutual Recognition of their Conformity) Directive (1999/5/EC) and is required to be CE Marked. Air-traffic-management equipment and systems (within the meaning of Article 1 of 93/65/EEC (as amended) on the definition and use of compatible technical specifications for the procurement of air-traffic-management equipment and systems). Some text may have been abbreviated. Always refer to the Directive for exact wording. Equipment within scope of the R&TTE must fulfill and demonstrate conformity to the essential requirements set out in Article 3 of the Directive. The Directive requires manufacturers to follow the Safety Objectives of the Low Voltage Directive, the Protection Requirements of the EMC Directive and to use the EM spectrum effectively to avoid harmful interference. If you require your products to be tested or need support with conformity, then please call us on 01564 792349 or please complete our online enquiry form.